Memories of Marrakech: Mats at Koutoubia | Oh, the Places We See . . . Since we love the brevity and pop of Instagram, we’ve decided to share — in short bursts of photography — a few images that have stayed with us after a visit to the colorful, exotic city of Marrakech in a series titled Memories of Marrakech. Here’s the first one: The Mats at Koutoubia Mosque. Prayer mats laid out end to end on an area adjacent to Koutoubia. Koutoubia Mosque is a central landmark of Marrakech, a place where tour guides begin an explanation of the city and its people. We marveled at the sandstone and brick architecture, the horseshoe windows, and multifoil arches. 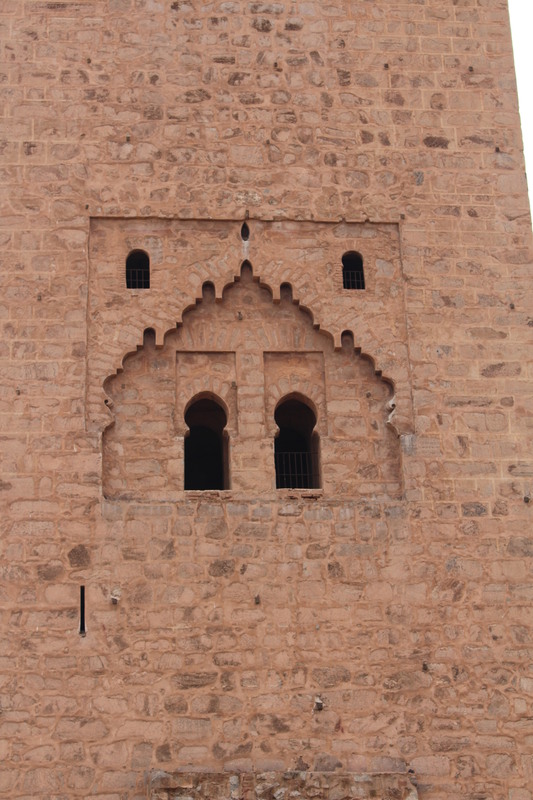 And we were fascinated by the fact that the first mosque built on the site had an error in orientation — those who prayed on the plaza surrounding Koutoubia really weren’t facing Mecca as they should be doing. A new mosque soon took the place of the first “disoriented” one. But what we found most fascinating during Ramadan (when we visited) were the dozens and dozens of mats all lined up ready for Call to Prayer. It’s an image that has stuck with us ever since. Although we never witnessed people praying, we could imagine how the plaza might look with so many devout worshipers in one place. 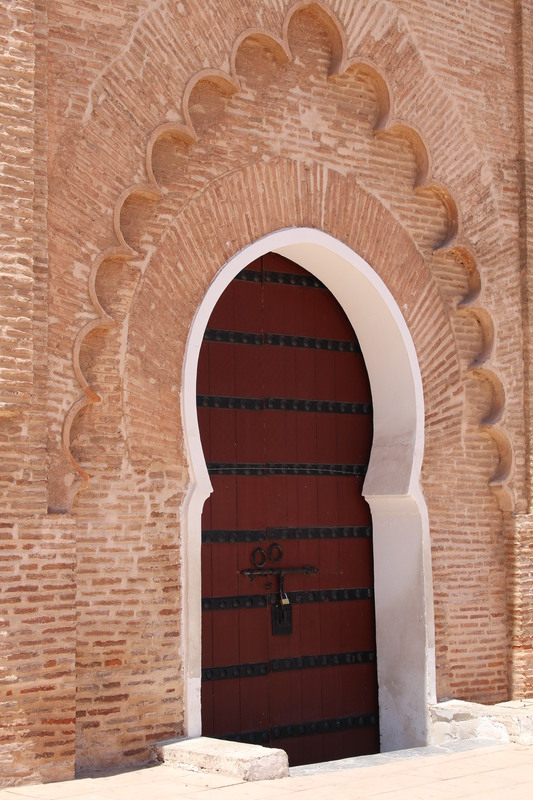 Definitely a focal point for Marrakech and this cultural, religious center of town. Ready for Call to Prayer! We hope you’ll check out our whole series: Marvelous Morocco! 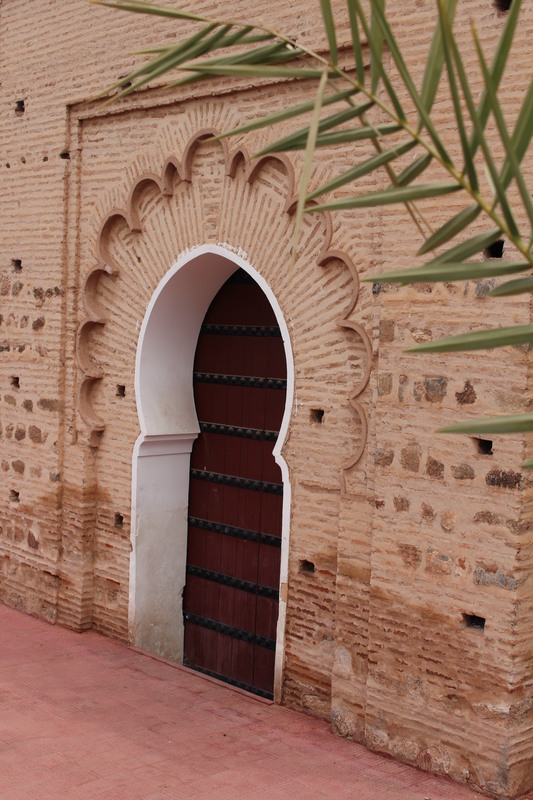 This entry was posted in Marvelous Morocco, Morocco, Photography, Travel and tagged Call to Prayer, Koutoubia Mosque, Marrakech, mats at Koutoubia, mosque, Ramadan. Bookmark the permalink. Morocco is very high on my travel wish-list. It is quite facinating seeing all the mats lined up and ready for prayer. Thanks, Dawn. It was quite a sight to see how. Muslim country prepares for and accommodates its followers. Pretty amazing. Lovely trip with you, thanks. Thanks so much for taking a look at a culture quite different from ours. I was amazed to see the unity of religious worship here. Thanks for following along with our journey through Morocco. It’s a country filled with memorable sights and experiences.